The Catskill Region is dominated by woodlands. Most towns inside this region are over 75% forested. However, beneath the forested canopy are many invisible survey lines encompassing parcels of land owned by thousands of landowners. Even though some landowners underestimate the significance of owning only 10 acres or so, the fact is that the average parcel size in the region is less than 18 acres, most of which is owned by these smaller landowners. 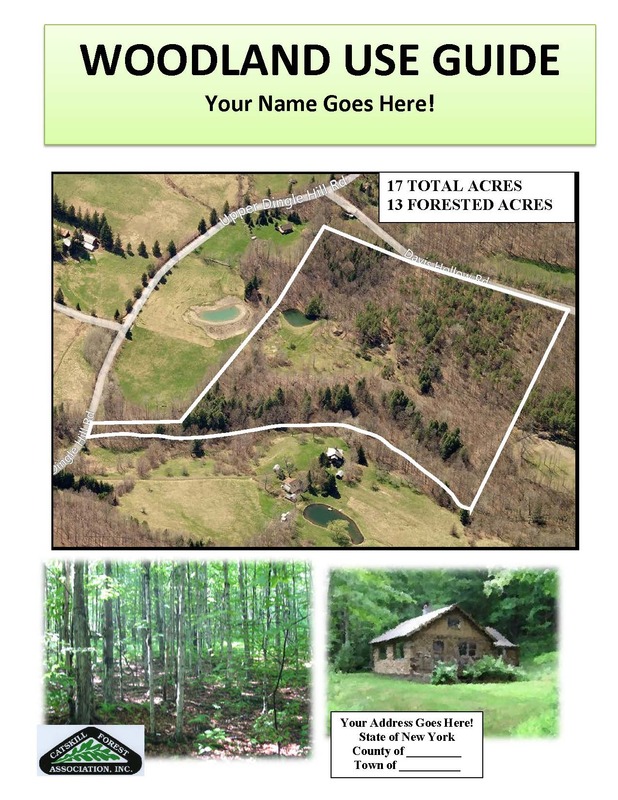 Although managing smaller parcels of land can be challenging, smaller landowners have one advantage – they can get to know literally every acre quite intimately! The future of the Catskills woodlands will be greatly influenced by how small woodland owners use their land. Historically, large woodlands have only been considered for management, while smaller ones ignored, leaving these owners to fend for themselves. We hope to address both the larger issue of the health of the Catskills forest and each member’s individual needs and goals as a small owner of woodlands through this guide. Your Woodland Use Guide will help you get started and guide you through the process. The purpose of this guide is to show landowners what their woodland contains and what it can be used for. CFA staff will visit your woodland and inventory both its general and unique composition and features in order to develop recommendations for its future use. Inventoried features include the size and species composition of plants, shrubs and trees growing in the upper-story, mid-story, and under-story of your woodland. We will also inventory your woodland for wildlife and its habitat, forest edibles, cultural resources (previous land-uses, roads, etc. ), health, and anything else you request. Woodland Use Guides include a detailed description of each use area as well as several detailed maps.